Thursday 21 September 2017 marks the 80th anniversary of the publication of J. R. R. Tolkien’s classic The Hobbit. To celebrate, we’re challenging you to write and send in your own fiendish riddles. Riddles are poems which describe something (or someone) without naming it. The intrigue of a riddle is trying to guess the object, person, or idea being deceptively described. In Tolkien’s book, the hobbit Bilbo Baggins encounters Gollum, a strange creature who lives on an island in the centre of a lake. Gollum wagers the fate of his precious ring on a riddle contest: if Bilbo can guess all of Gollum’s riddles, and ask a riddle too difficult for Gollum, Bilbo can keep the ring. Riddles were some of the earliest types of poetry in the English language. Unlike a lot of poetry, the riddle is a really participatory form: because the reader has to guess the object, the riddle is almost like a question which needs an answer. At first this all seems very contradictory. 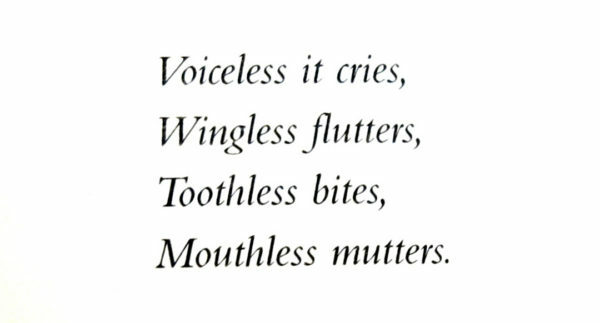 Nobody can cry without a voice – right? Gollum’s riddle is a great example of paradox: a statement that seems impossible but, when investigated, proves to be true. These paradoxes work because of metaphor. The object can ‘cry’ without a voice because it’s not literally shouting; instead, it’s making some kind of noise without using voice, which makes a lot more sense. Why not try creating some interesting metaphors and paradoxes to make your riddles really tough? 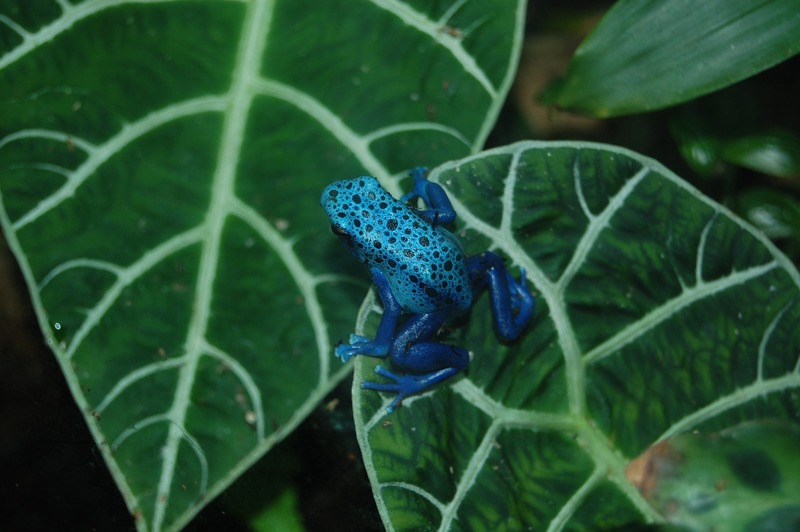 A riddle can also be a list of poetic images, like Jon Stone’s poem ‘Blue Poison Dart Frog’, which describes the electric-blue frog. Stone’s poem isn’t exactly a riddle: he tells us the answer in the title. But throughout the poem he lists different ways of seeing the blue poison dart frog. This is related to another Anglo-Saxon and Viking poetic tradition – the kenning. 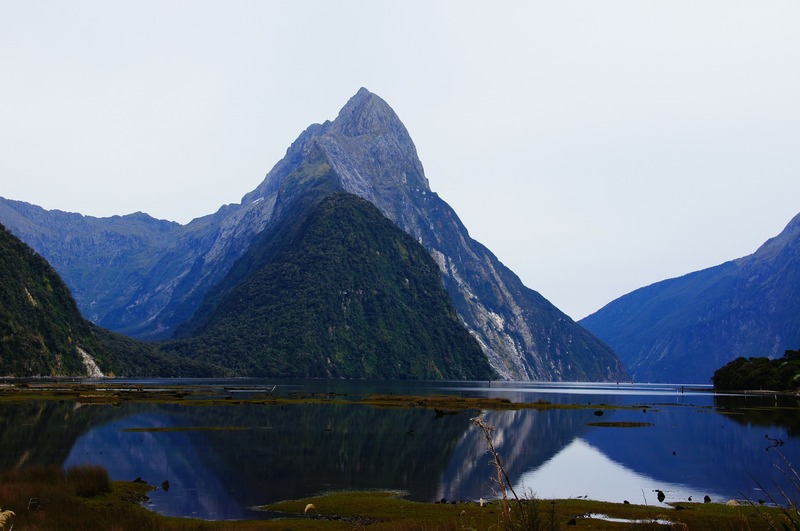 You can read more about kennings in this fascinating YPN challenge by Debbie Potts, which might help inspire your poetic response to this riddle challenge. In short, ‘kennings are a means of referring to people or objects without naming them directly’ – they’re mini-riddles, encased in just a handful of words. ‘Bed of ships’ and ‘whale-house’, for example, are kennings for ‘the sea’. ‘Driblet-beast’ is a traditional kenning, while ‘little gas flame’ is an adapted, but inventive and visual way of describing the frog without naming it. You can really visualise a ‘little gas flame’ flickering in the brown ‘mulch’ of the forest. And what a great image ‘Half-exploded teardrop of a clown’ is! As you can see, you can be very inventive with your descriptions – the stranger and more imaginative, the better. that he gave me a band to put on my neck. Using the first person gives the riddle a different effect. By personifying the object, the poet makes us look again at objects and how we treat them. I’ve certainly never thought of this object as having to ‘readily obey’ its ‘servant and master’ – but now I have, the object has a new wonderful inner life! This form also actively asks the reader for an answer, expecting the response ‘you are…’. By using this ‘I am’ form, you can create a lively conversation between the writer and the reader of your poem. We’d like you to write us some riddles. If you like, you can use one of the structures we have talked about here, or go your own way completely. It can rhyme, but it doesn’t have to. It can be long or short. You could write one really imaginative riddle, or a series of riddles, like Bilbo and Gollum’s. We welcome all types of riddles, as long as the answer is difficult to guess. Above all, we want poems that really make us think – so don’t afraid to be tricksy and weird! Winning poets will have their poems published on the Young Poets Network and receive an exclusive Young Poets Network notebook, as well as other assorted poetry goodies. This challenged is now closed – thank you to everyone who entered! You can read the winning poems at the top left-hand side of this page. Do we get confirmation when our poems are sent in? I was wondering as I’ve entered a few competitions recently and not had confirmation of my entries. Just checking that this is the done thing, and my poetry isn’t going astray! Is the number of entries allowed for each contestant limited to one? Thanks for your comment. No – please submit as many poems as you’d like to! We’d love to read them all. Thanks for your comment! You raise a good point. I didn’t want to go too much into the plot details for fear of unleashing spoilers on unsuspecting Young Poets Networkers who hadn’t yet read The Hobbit. I hope you understand! Hello. Is the prize a (computer) notebook or a (writing-book) notebook? Hi! Really enjoyed this challenge. Is there a date that we’ll find out the results? Thanks for your comment, and for your entry! There isn’t a fixed date, but it will definitely be before Christmas. Sorry I can’t be more specific right now but I hope that’s a teeny bit helpful.